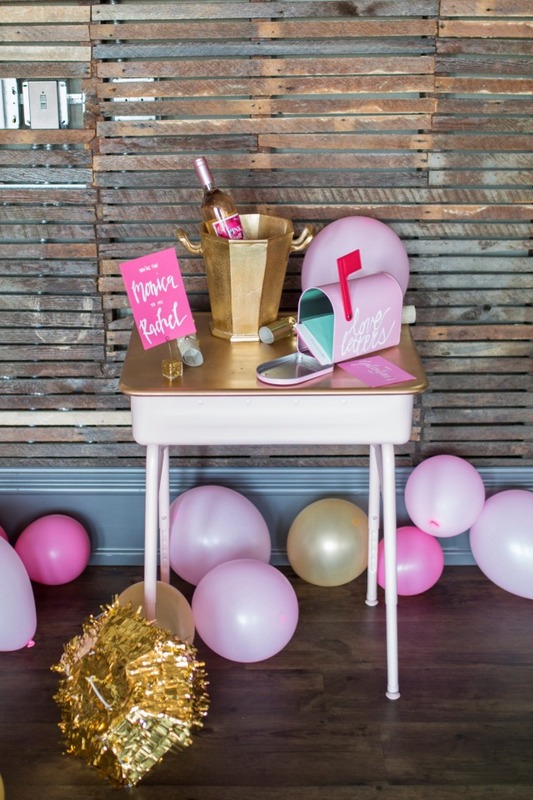 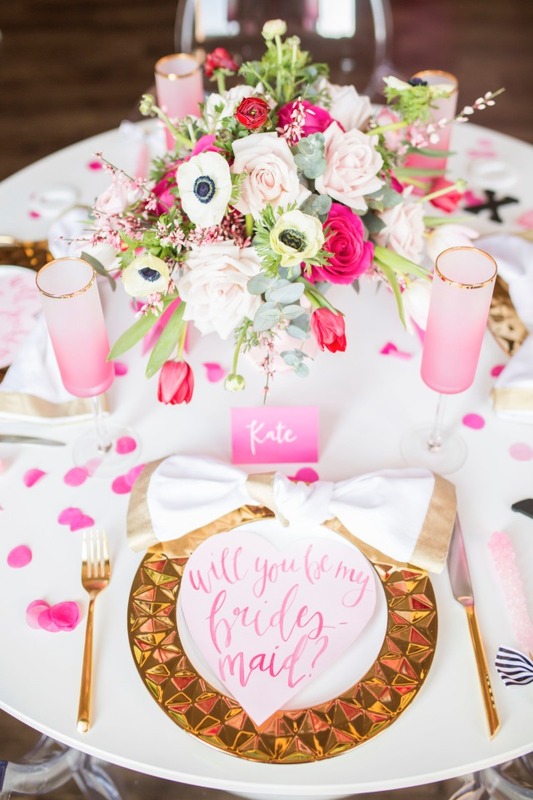 A Gold And Pink Will You Be My Bridesmaid Party You Have to See! 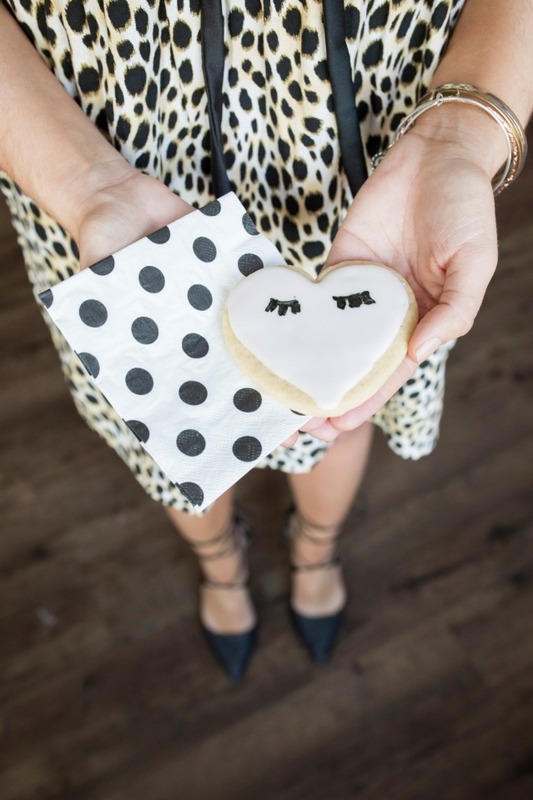 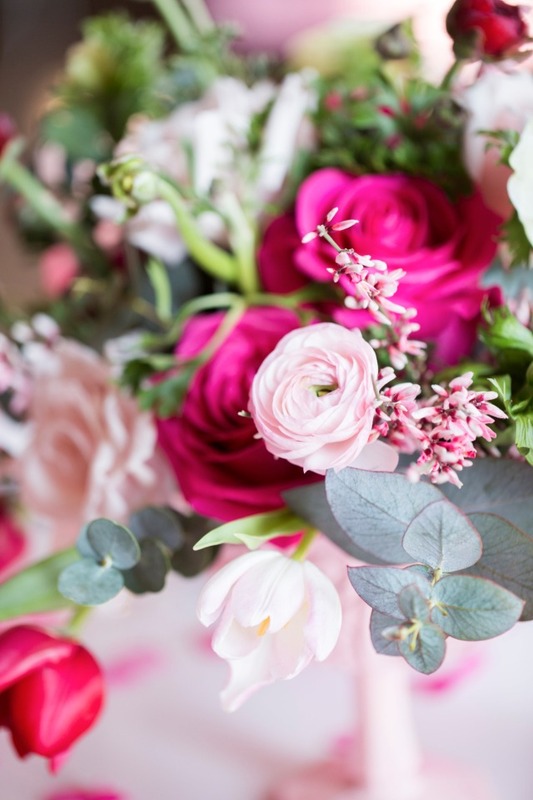 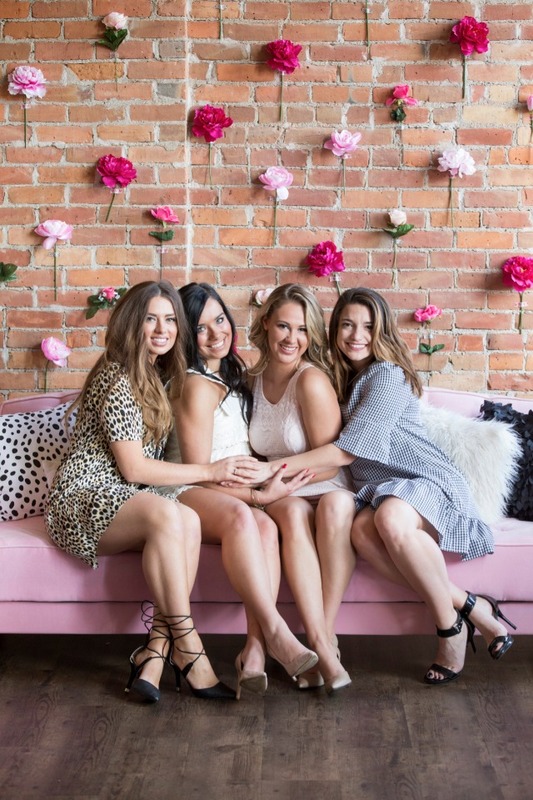 This party concept was created around the idea that asking your best girlfriends to share in your big day should be just as exciting as when the bride herself was asked the big question by her groom! 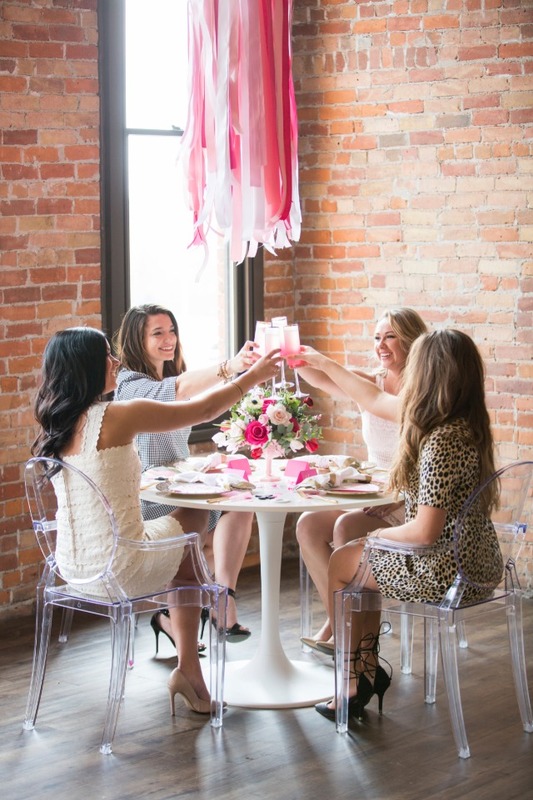 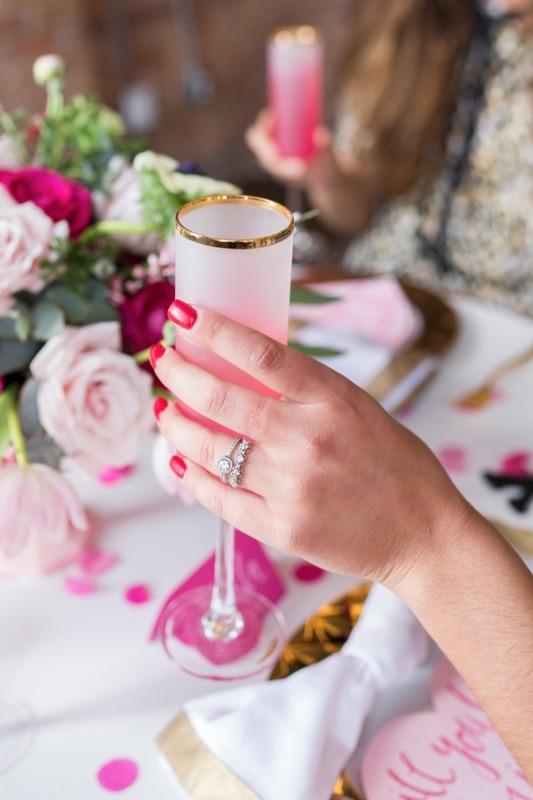 There will be tons of celebrations honoring the bride but hosting a party for your bridesmaids is a great way to have quality time with them and let them know how much you treasure their friendships. 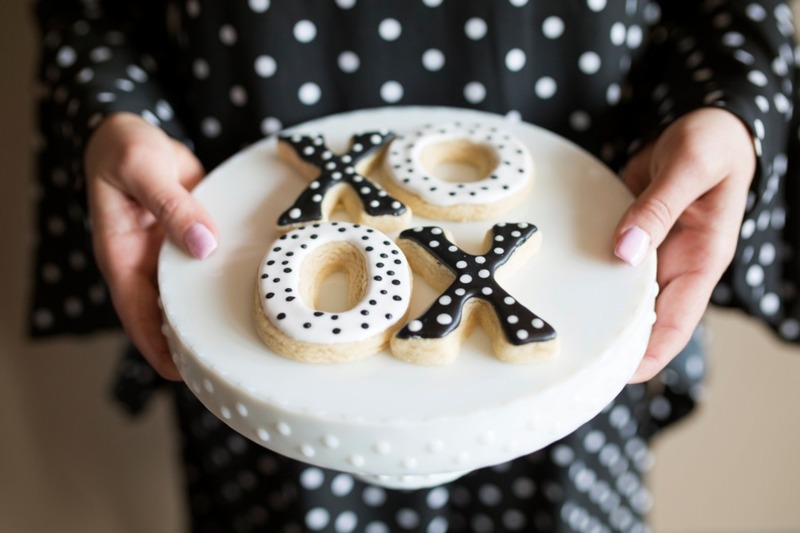 The best way to do that? 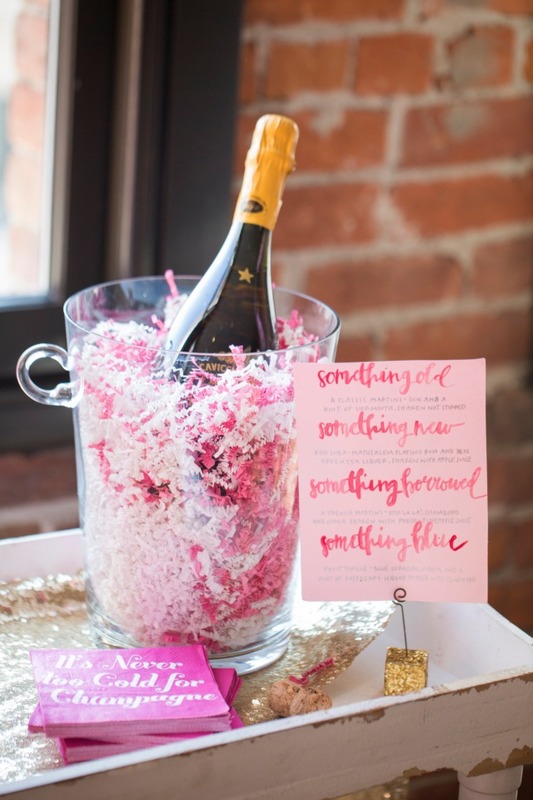 Lots of champagne and confetti, of course! 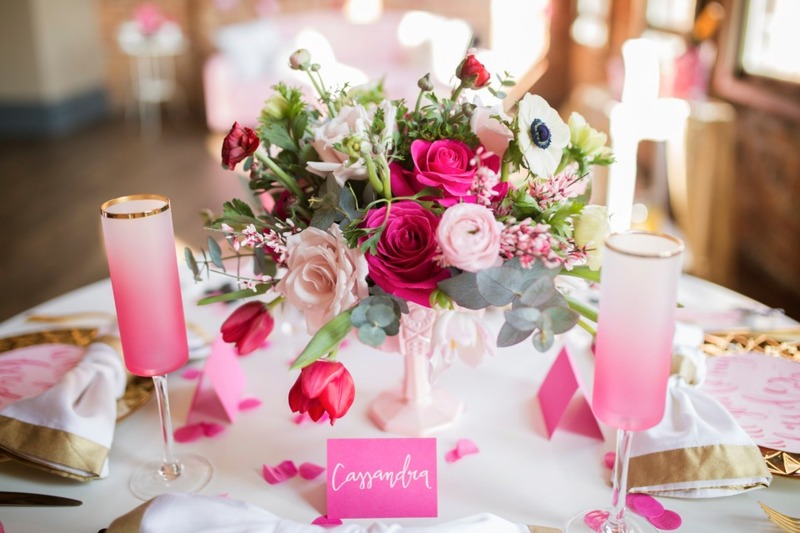 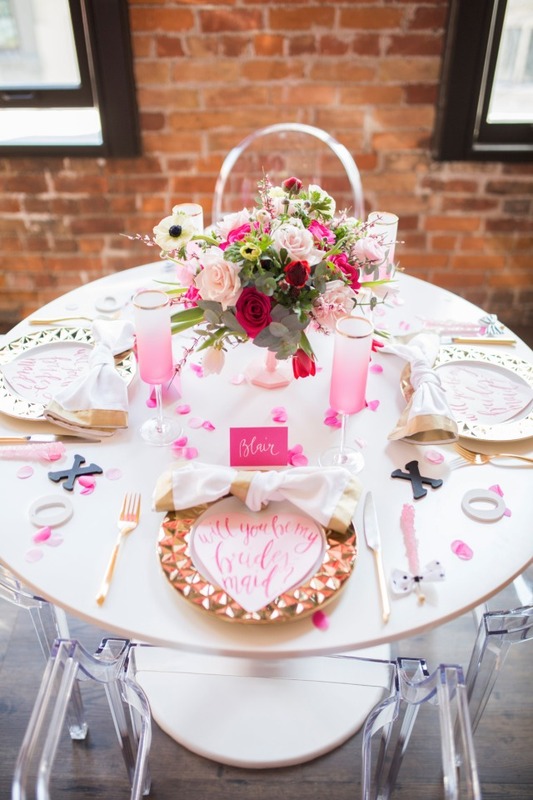 The color palette was extra feminine, featuring a mix of pinks and golds. 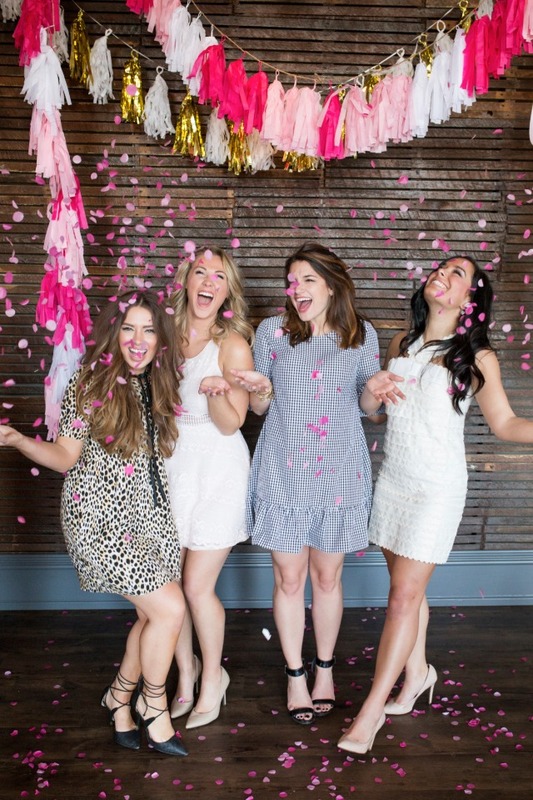 The girls were celebrating in style with attire from Asos and our “bride-to-be” wore a dress from Marc Jacobs (the same dress her favorite, Blair in Gossip Girl, wore to the White Party)! 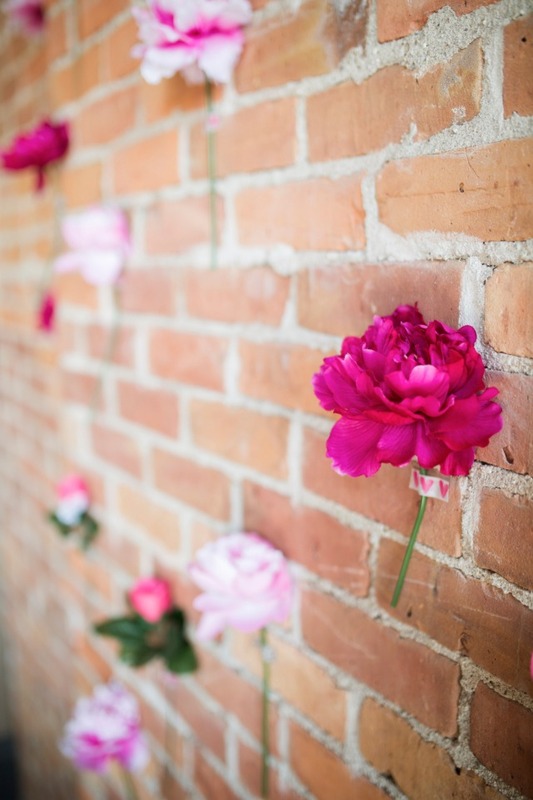 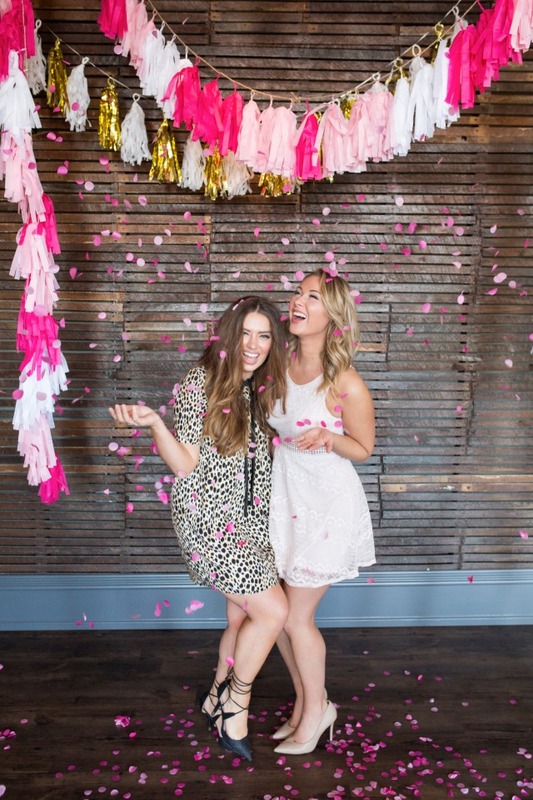 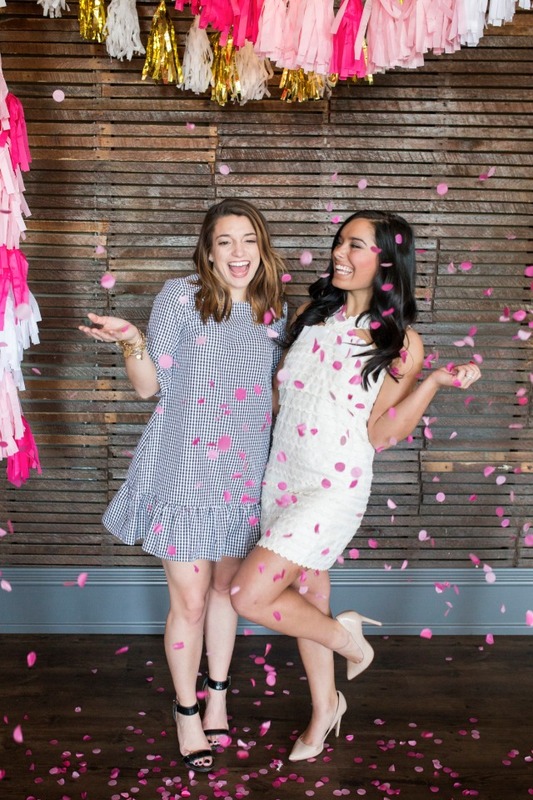 With confetti in their hair and so many fun details, this party showcased an amazing way to celebrate the special ladies in your life! 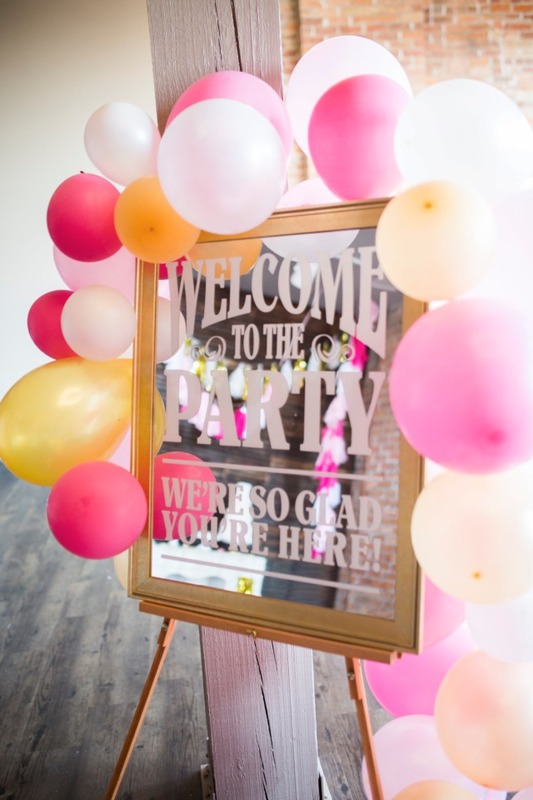 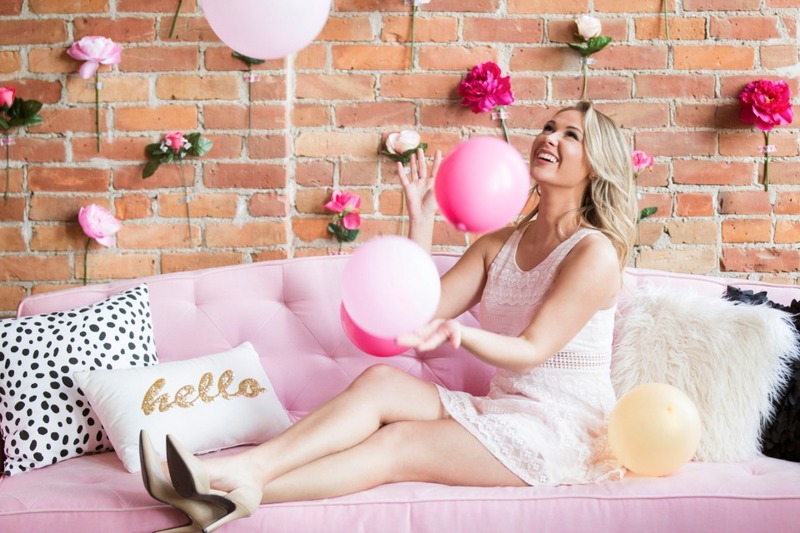 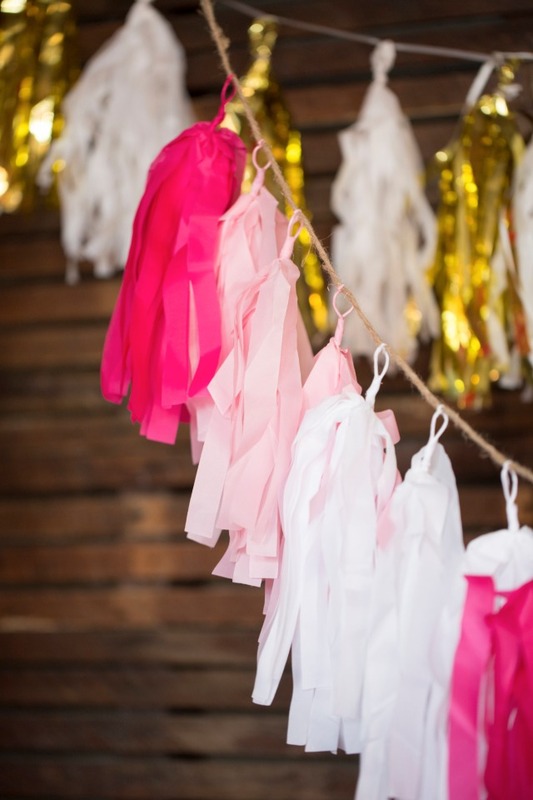 This girly, modern, and frilly celebration included some simple DIY projects like the hanging tassels, balloon garland, and flower wall, which make a big impact but can easily be recreated. 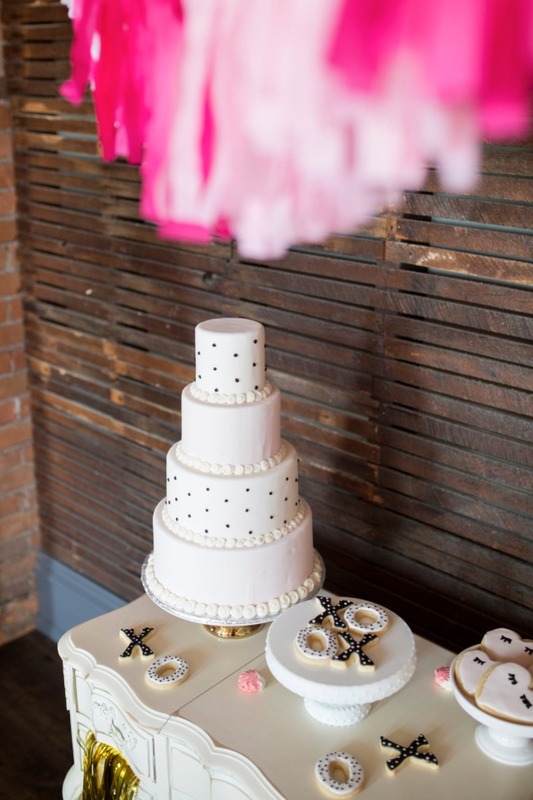 My favorite DIY to create was the ribbon chandelier that hung above the guest table. 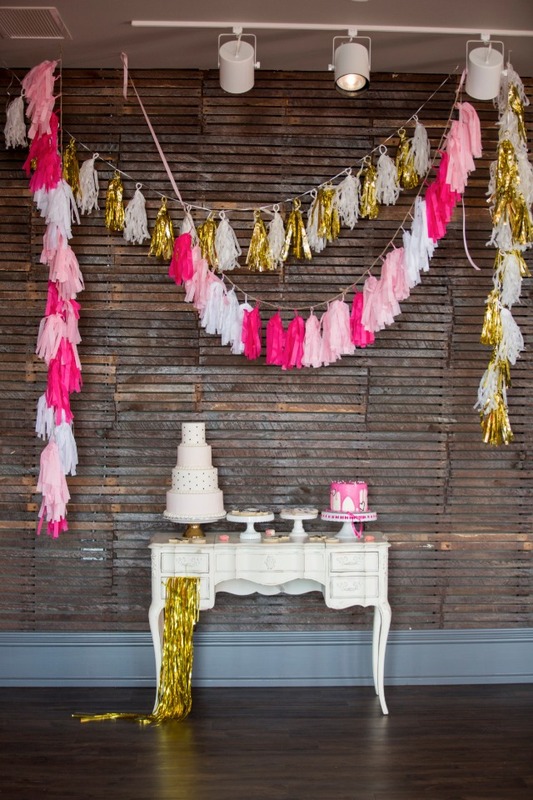 It's an easy and affordable project that was such a pretty addition to the room. 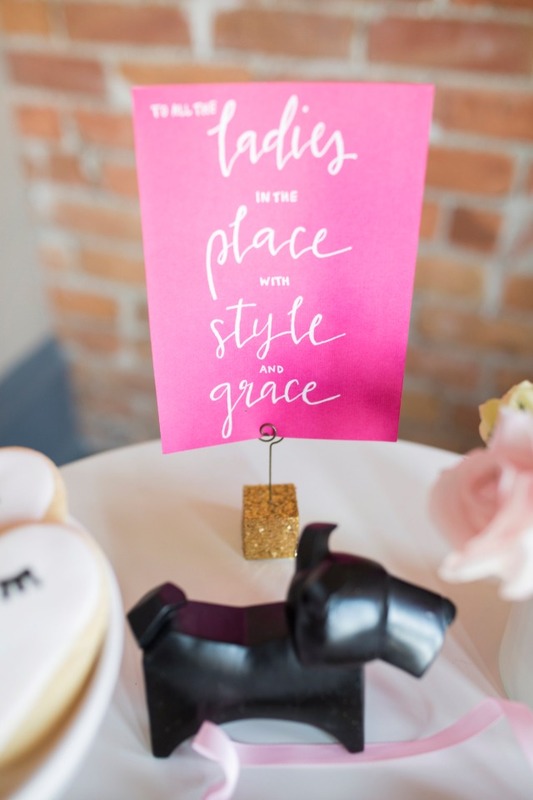 Personalized calligraphy paper goods displayed on the table settings were a creative way to ask "the big question,” and they also included some of the girl’s favorite song lyrics or quotes. 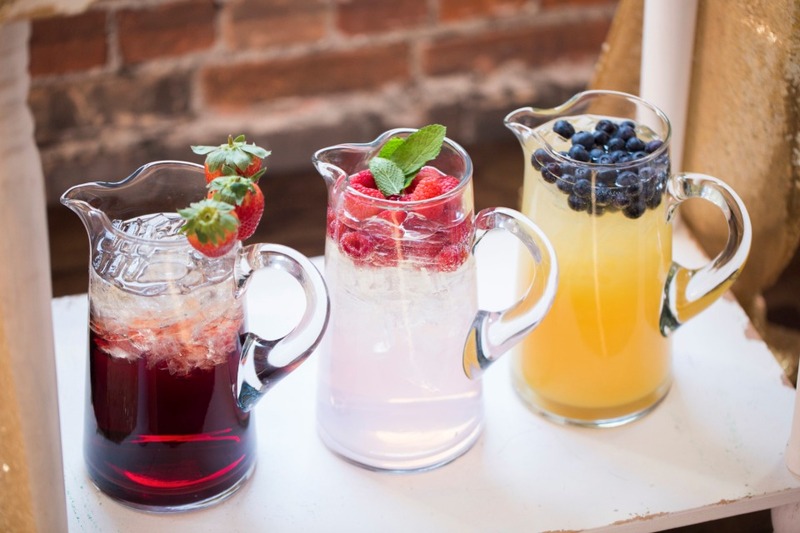 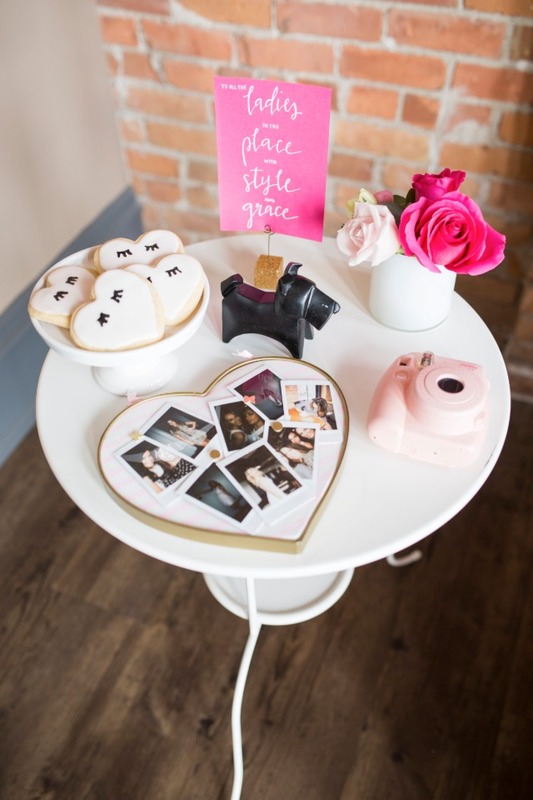 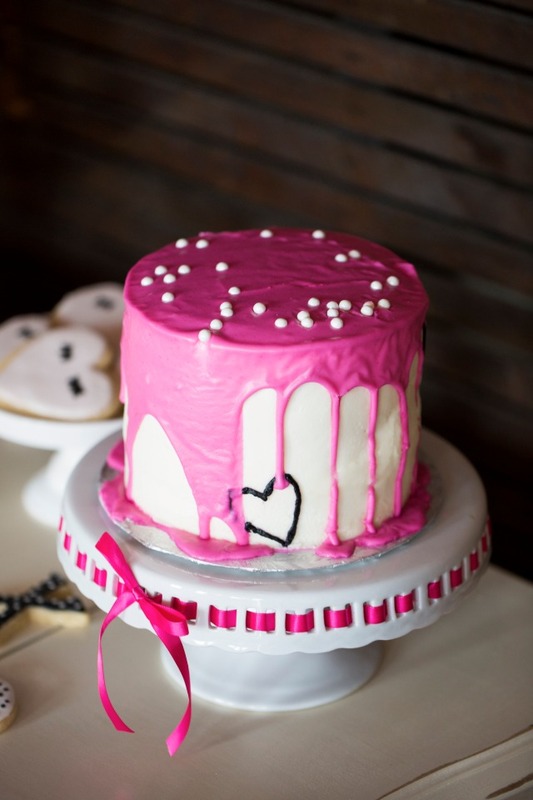 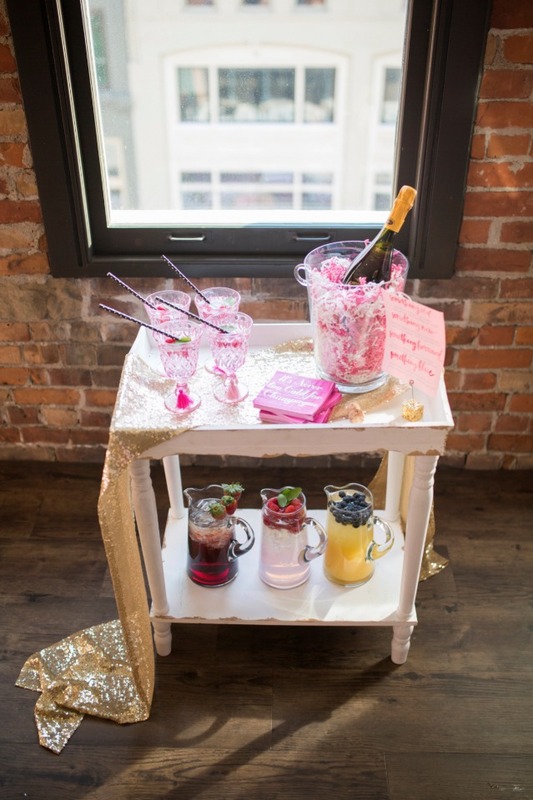 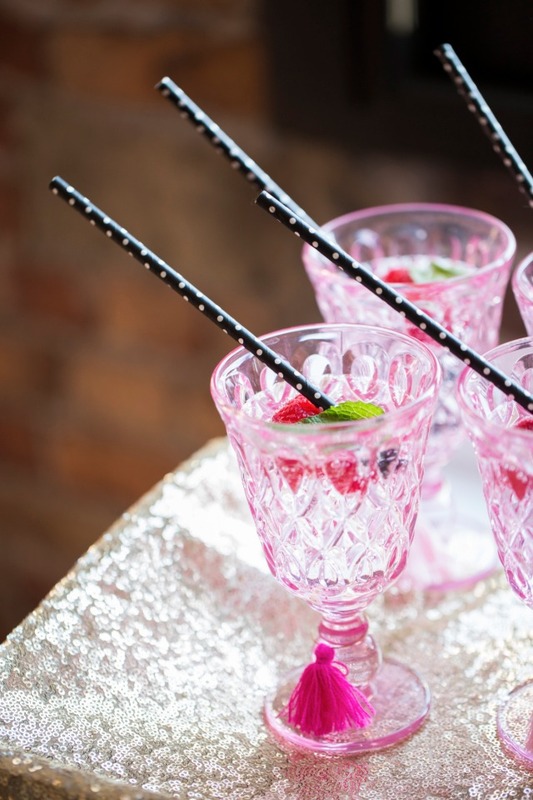 The dessert station included two customs cakes and an assortment of custom sugar cookies – perfect treats to pair with the signature drinks that were cleverly named to stay within the bridal shower theme.